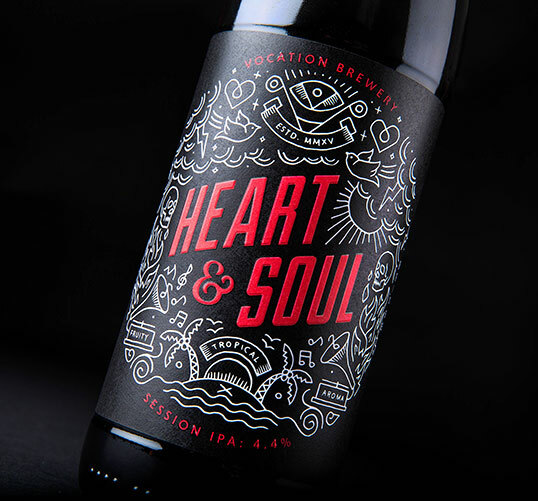 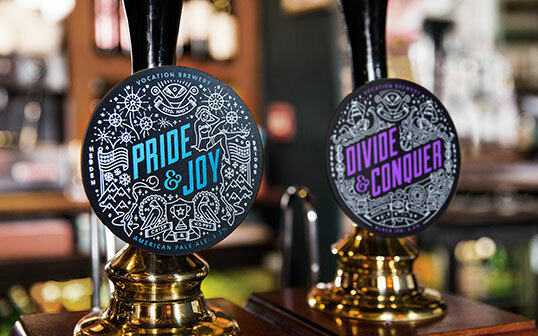 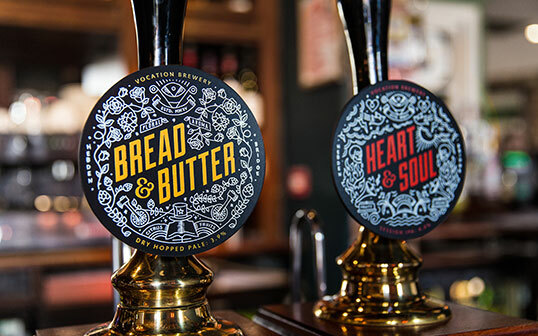 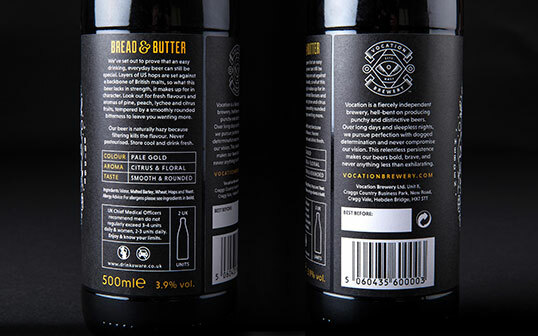 “Branding and packaging agency, Robot Food, created the brand identity and came up with the name ‘Vocation Brewery’ to tell John’s story. 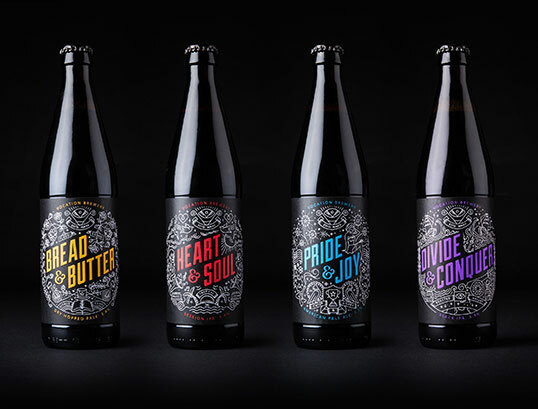 Each bold flavour name is embossed on pack in rich colour and surrounded by a series of bespoke monochrome line illustrations, all crafted in-house, that bring the individual tasting notes to life. 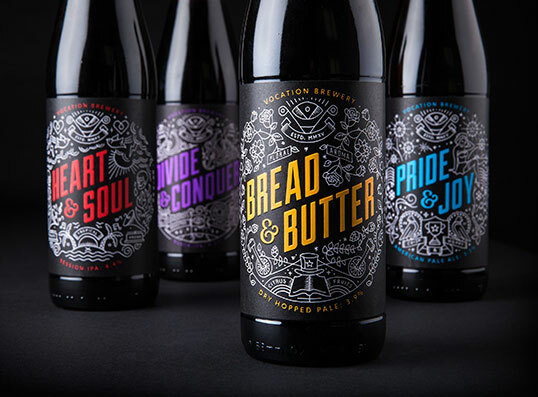 The combination of angular typography and intricate illustration creates a brand packed with compelling detail and shelf shout, that reflects the craft sensibility and renegade nature of the brand. 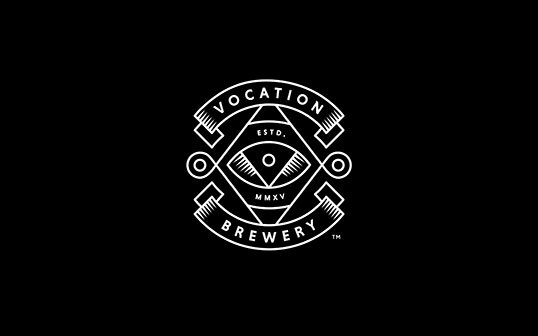 Vocation was intended to be a brand for people who knew good beer, and Robot Food’s new school execution typifies everything that is powerful about the brewery’s existence. 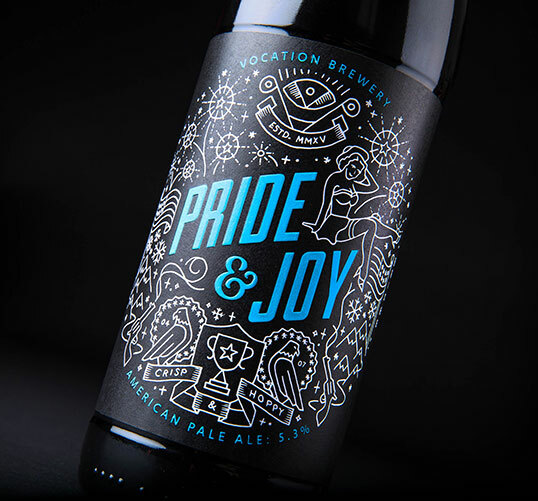 John’s beers aren’t for everyone and he likes it that way. 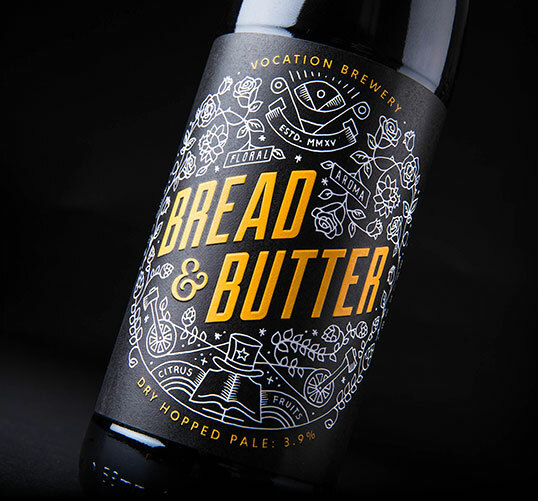 Beautiful branding and excellent detail. 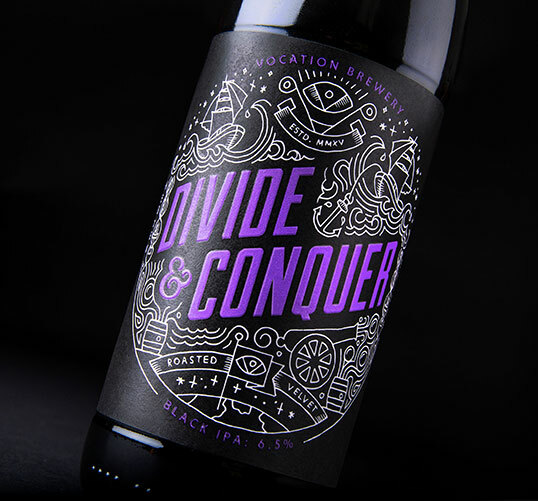 The embossing on the black matte labels on black gloss bottles makes it all the more exquisite.